The full programme for the 2019 Winter Weekend Festival (28 November–1 December 2019) will be announced here in October 2019. Call the box office on 01497 822 629. It will help us to process your order more efficiently if you have ready the event numbers that you are booking for. Box office opening hours are 9am–5pm Monday to Friday and all day until late during the Winter Weekend. 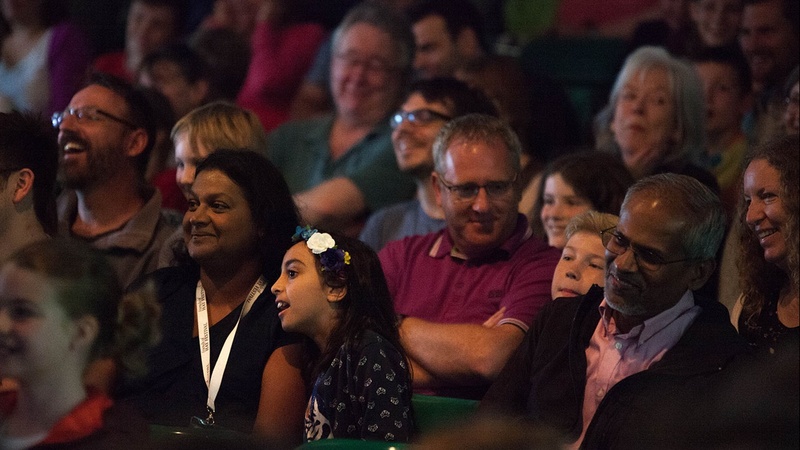 You can book tickets directly with Hay Festival Box Office – during the Winter Weekend this is located in The Swan Hotel in Hay, and is open from the start of each day's first event until late. On Monday 26 November, the Box Office returns to The Drill Hall, 25 Lion Street, Hay-on-Wye HR3 5AD. Normal Box Office opening hours are 9am–5pm Monday to Friday. You can post your ticket order to us – please make sure you quote event numbers when ordering tickets. We accept credit and debit cards including Visa, Delta, Mastercard and Maestro. Make cheques payable to Hay Festival of Literature. In case some tickets are not available: please leave the amount blank, but write on the cheque ‘not exceeding [the total cost of your order]’. Cash payments accepted in person only, please do not send us cash by post. All ticket prices include VAT. A handling charge of £3.50 applies to all orders not booked in person. Please check at the box office during the Winter Weekend for any venue changes. All programme details are correct at the time of publication. We reserve the right to change programmes and artists if circumstances dictate. In the event of cancellations tickets will be refunded. Tickets cannot be accepted for refund or resale. The management reserves the right to refuse admission.